With evolution from cell phones to smartphone, communication has not only become easy, but also simpler and beneficial – offering more ease and functions, making users more dependent on them for most of the activities – even replacing the computers to a certain extent. Owing to the function of smartphone in our lives, it can safely be said that the contain lot of information, which needs to be kept safe – users’ login details of various accounts, emails, photo gallery, contact details, text messages. These things are invaluable and if lost, it is impossible to retrieve them – which require extreme caution on the user’s part. Smartphone need to be looked after in two ways – first of all it should be kept saved physically like taking care of a wallet; secondly the data needs to be protected from any kind of theft. 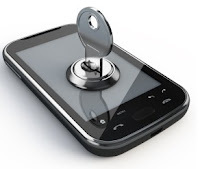 In order to keep the phone safe, the user needs to be very careful with whom wants to use the phone and how it is being used – be very particular if the other person is not installing spyware or a key logger on to your phone – making them accessible to data saved in the phone. A recent survey done on the use of smartphone has revealed some interesting facts – statistics show only 38% of users of smartphone have the phone lock engaged. Now, this is a basic and oldest way of keeping the phone safe from intruders. A survey conducted in 2011 revealed that 90% of the Android users have not updated version of their operating systems – this is extremely important to have updated version of software. These versions are meant to update the software of the smartphone – fixing or improving vulnerabilities that may have been present in the previous version – keeping the phone protected from different threats. Several applications are available to counter the threats of Android spyware – depending on the suitability of the phone, install the anti spyware application for protection. The anti-spyware application acts as an armor against the malicious or infected malwares which the user may have unknowingly downloaded and installed on the smartphone. Users ought to be extremely careful with their devices as both major smartphone platforms, Android and Apple have already been hacked – make sure there isn’t any malicious app moving around freely in your phone. Another way to avoid these damaging malware is to avoid downloading and installing apps which have negative reviews about their security. Be very careful before installing any new app into your smartphone – read the reviews of the app and get the complete information before downloading the app. Free applications are those that one should always be vary of – getting hold of the data becomes the easiest through these notorious, free applications. Another safe way of avoiding malware is to stick to app store that installing apps from an unknown source. Author Bio: James Clark has been in the business of providing quality information on spy software for cell phones for a while now. He's an expert at all things spyware, but his main forte is Spy Software for Blackberry which has captured the interest of many.